Those were the thoughts of JPMorgan Chase & Co. CEO Jamie Dimon, who offered a forecast for U.S. economic growth that outstrips even some of the more bullish economists. Speaking during an interview with Fox Business’s (http://www.foxbusiness.com/markets/2018/01/09/jpmorgan-chase-ceo-jamie-dimon-regrets-saying-bitcoin-is-fraud-but-still-isnt-interested-in-it.html)Maria Bartiromo on Tuesday, Dimon said the recently signed tax legislation, which cuts the corporate tax rate to 21% from 35%, is likely to support higher levels for the Dow Jones Industrial Average , the S&P 500 index and the Nasdaq Composite Index , which have already rung up all-time highs in first several sessions of 2018, after a record-setting rally for the equity benchmarks last year. 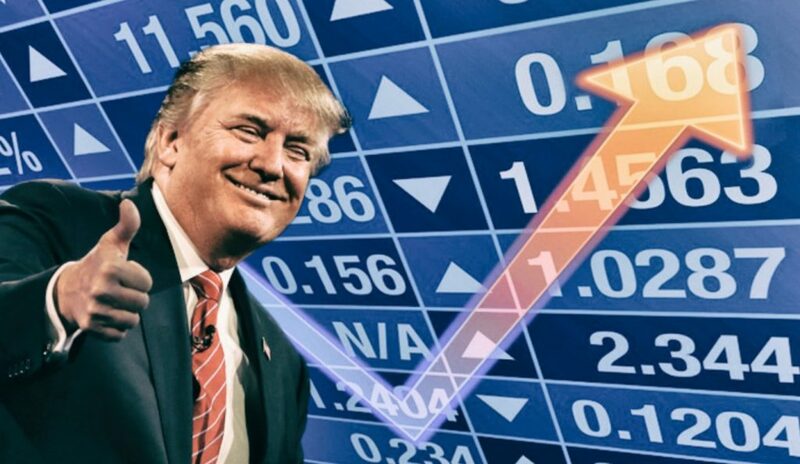 In the U.S., the economy grew at a 3.1% annual pace in the second quarter and a 3.2% annual rate in the third, according to the Commerce Department, exceeding the postrecession pace of near 2% A fresh estimate of gross domestic product is slated for Jan. 26. However, few prominent economists are expecting GDP growth to hit a stellar 4% pace this year. Moreover, J.P. Morgan’s chief U.S. economist Michael Feroli’s forecast for early GDP readings lands below his boss’s much loftier expectations, even factoring the tax cuts: “We boosted our 1Q18 real GDP forecast from 2.0% to 2.5%…following the recent passage of the tax package. The changes are set to take effect somewhat earlier than we had anticipated a few weeks ago, and also are more frontloaded than we had expected. As a whole, we look for the package to boost GDP growth by about 0.3%-pt in 2018 and 0.2%-pt in 2019, according to his recent research report. Still, the J.P. Morgan (JPM) CEO is bullish on the prospects for further economic growth, even as the Federal Reserve officials said they are mindful that tax-cuts and other measures could overheat the U.S. economy and are likely to raise borrowing costs to quell growth. Meanwhile, Dimon also said he regretted calling bitcoin a “fraud (http://www.marketwatch.com/story/dimon-calls-bitcoin-a-fraud-and-may-have-delivered-the-biggest-blow-to-the-digital-currency-2017-09-12)”, but also said that he believed that blockchain, or distributed-ledger technology behind cryptocurrencies, is “real” but still thinks that digital assets like the No. 1 digital asset in the world is hyped.